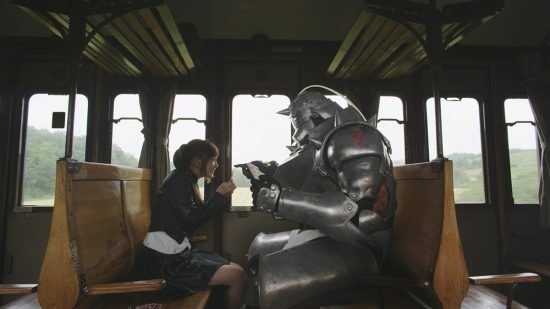 I don’t usually much care about live action adaptations of Anime. These past few years a number of them have come to my attention, and word of mouth generally make consensus; they’re bad. There is something about the inherently over the top mannerisms and animation of these shows that makes a transition into live action a tough sell for me personally. In this instance, the timing just so happened to line up. 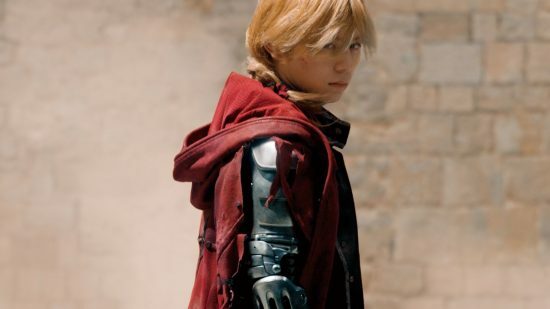 I had just finished watching Fullmetal Alchemist Brotherhood on Netflix and low and behold a live action version popped up on there too. I wasn’t quite ready to be done with the series so I thought I’d give it a go. The movie, simply called Fullmetal Alchemist, is a condensed retelling of the first 10 or so episodes of the “Brotherhood” anime. Or the first four volumes of the Manga I’ve never read. It as been on and off in production since 2013, postponed several times due to very tight budgetary constraints and limited access to the computer generated effects that would be essential to making the film work. It eventually came out last year in Japan before Netflix got the licence to stream it in the west. The plot sticks pretty closely to the story in the anime, with a few relatively minor omissions. It tells the story of two brothers, the Elrics, who use alchemy; a magic-like ability to break things around down to their component elements and reconstruct them in any way they wish. The meat of their story involves the death of their mother, and how they tried to use alchemy to bring her back to life, only to realise there was a terrible cost for their attempt. Not only do they fail to bring her back, but Edward loses his leg and Alphonse loses his entire body. Ed goes on to sacrifice his arm to seal Al’s soul into a nearby suit of armour. From there we mainly focuses on the brothers searching the world for a means of restoring their original bodies through alchemy amongst the backdrop of a World War II style European setting. While the brothers are the protagonists of the show, there is a much larger cast whose story revokes around helping the Elrics, but also uncovering some grand conspiracy revolving around the leadership of the military run state. For the most part, the adaptation captures all of the essential parts of story from the manga. Showing Ed and Al’s struggles with their replacement parts and bodies, while also focusing on the people they’ve made connections with. The movie’s setting is very nice, mostly filmed in Italy by the looks of it, hosting events as they play out the the form of a mystery. With Ed and Al try to learn more about the nature of the Philosopher’s Stone , something that may allow them to bypass the rules of Alchemy. If that’s not enough though, the movie lays several more mysteries on top of that, introducing villains who seem to have connection to the military top brass, and a murder mystery on top of that. I can praise the movie for its faithfulness to the source material, but at the same time, this turns into one of the movie’s biggest problems. While I was able to follow events, because I’d seen the source material, I felt that there was slightly too much going on for a person who might be going into this completely blind. It introduces a lot of character, the setting, the abilities the people in this world possess, as well as the rules that govern them and then you’ve got the multiple layers of conspiracy on top of that. I even felt a little overwhelmed at times at the amount of information being thrust upon me. This might not be as much of an issue to some, as this is ultimately an adaptation and there might be some expectation for the viewer to at least have a baseline understanding the story. Winry’s actor was very up and down for me. When she first shows up, she is flailing around and overacting like crazy. This might be a culture thing though, I don’t know, because by the latter parts of the movie when she was called to act more serious, I thought she was good. Live action Ed seems way less volatile of a character than he was in the original. In the anime he is incredibly short tempered, getting fiery over the smallest thing. Here is just seems more mopey. Being transitioned to live action might make his actions a little too cartoony for the main character (see previous bullet). He generally feels far more mature and brooding than he actually is, even right up to the end of the Anime. Roy Mustang is great. While the dynamic between him and Ed never felt like it did in the source material, him playing a badass works for the purposes of this movie. And he is a badass. Maes Hughes is my favourite character in this. This is by design though. In the manga, Hughes was a super nice and very likeable character. This was intentional to make what happens to him all the more affecting when it does happen. The guy playing him here is great and like in the anime, when things go south, it worked as an effective emotional moment. There was one character I did want to go into a touch more depth about though, and that’s Alphonse. 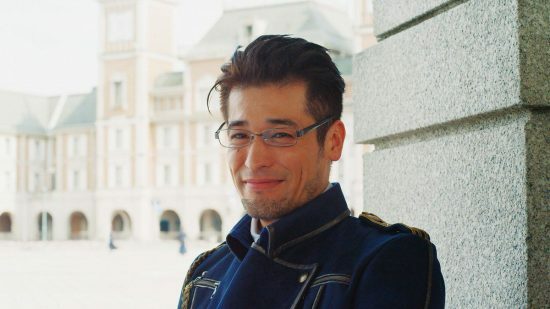 Al is one of my favourite characters from the anime, he’s a great character; a polite, thoughtful, devoted and sweet young man trapped in a suit of empty armour, and despite that he is always the more measured and mature of the brothers. He’s always the most empathetic to everyone and anyone, despite not having any physical feeling himself thanks to being trapped inside an empty suit of armour. The movie treats him as little more than a plot device/sidekick. He is mostly present to give Ed some motivation to find the Philosopher’s Stone. Which is also the case in the anime, but the pair are always in it together and Al always selflessly things of his brother first, despite Ed only really being minority inconvenienced thanks to his mechanical arm and leg acting as replacements. The only real character arc Al gets is lifted from the anime when an enemy tries to get into his head by implying that he may not have ever been a real person. That maybe he was just a construct with false memories created by his “brother”. It wasn’t a plot point I ever liked from the original, so it being Al’s only contribution to the film kind of bums me out. Despite the sweet resolution between the two we get at the end. I don’t want to be the guy who makes fun of this movie’s effects. I already mentioned that it was made on a real tight budget, but some of the visuals here are pretty laughable. The first action scene in which Ed is being chased by a bunch of stone pillars erupting from the streets, this is the first tip that the effects might not be the best. Don’t get me wrong, some of the more subtle effects worked really well, and some parts were astoundingly like the anime. But there were too many parts that has me actually laughing at how silly they looked. Gluttony’s stomach opening up and the doll soldiers to name a few. It’s really one of those that you can take or leave. If you can’t stand computer effects then this will infuriate you, but if you can get a laugh out of some bad CG then this is certainly up there. Where it really does work are in instances like the Nina/Chimera reveal. That is a big shock moment of the story, one that resonates throughout the rest of the whole anime. It’s both tragic and shocking and effecting in the ways you really need it to. As silly as this movie can seem at times, when it needs to hit you with the heavy moments, I feel like it pulled them off really well. 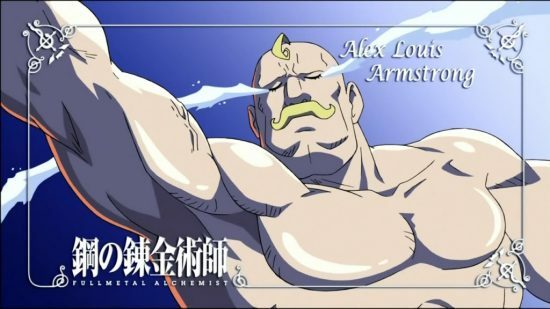 I’d say that Fullmetal Alchemist is one of my favourite Anime. It was one of the first I ever saw aside from the kid’s stuff I mostly watched growing up. I don’t generally bother wading into the whole Subs. Vs. Dubs. debate, but Brotherhood and the 2003 anime were two I just so happened to watch the dubbed versions of. I think that the english voice cast are a lot of the reason I look back on these characters so fondly. The anime was always adept at mixing its comedy and more serious moments so well. Most of the time, the anime was a lighthearted and goofy show, but was fully caipable of creating these really effective serious moments throughout. It’s one of the things I feel the movie also managed pull off well, to an extent. Where it doesn’t reach the same heights though, is that it lacks the bright, silly characters to make the ups and downs feel all the more effecting. Hell, the movie completely omits Major Armstrong, who is an amazing character able to bring even the darkest moments out into the light of glorious absurdity. For the most part, I enjoyed the movie. Most of my issues boil down to personal preference and nit picks. As someone who enjoyed the anime, I felt like I got something out of this. My only real criticism would be that it’s very unfriendly to someone with zero knowledge of the source material. But I suppose you could argue that an adaptation such as this has no real purpose aside from pandering to the fans of the manga or anime. Taking it at face value though, I felt it did what it needed to do admirably. If you are interested in the story of Fullmetal Alchemist, I would still recommend the Brotherhood anime that’s also available on Netflix over this. It’s a good dub too. This felt more like a curiosity than anything for me, and I can’t really recommend it as anything but that. If you like the source material, give this a watch. If not, then go watch the anime… I am genuinely gutted that Armstrong wasn’t in this movie though. I can’t imagine how insane putting that character into live action would have been. 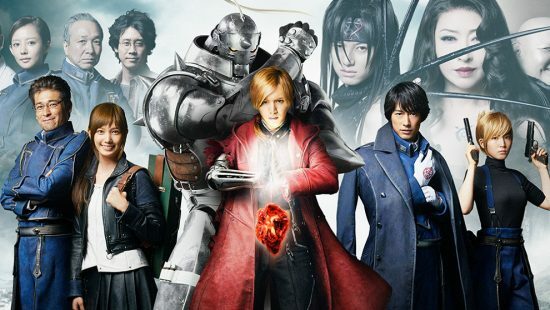 Posted on March 16, 2018 March 15, 2018 by WooderonPosted in Movies, My Thoughts on:Tagged alchemist, alphonse elric, Anime, brotherhood, edward elric, fullmetal alchemist, Japanese, live action, manga, movie, Netflix, roy mustang. Next Next post: How I fell out of love with Super Smash Bros.